Dr Nora Khaldi has made a successful transition from academia to one of Ireland's most exciting young entrepreneurs. Her company, Nuritas, became the first Irish biotech company backed by the European Investment Bank when it made a €30m loan to the Dublin-based entity. Dr Khaldi is a mathematician with a PhD in molecular evolution and bioinformatics from Trinity and a masters degree in mathematics from the Université Aix-Marseille in France. Ireland has a competitive advantage in high value food production, exports are worth €12.5bn, a 10th of the overall total of €122bn in 2017. Kerry Group alone, which started from a greenfield site in Listowel over 40 years ago, is now a food giant with a market capitalisation in excess of €16bn. Marry the economic heft to a vibrant start-up scene and you have the potential for the kind of economic growth and jobs that can shift Ireland from being the low-tax option for multinationals to a genuine innovator. Nuritas was founded in 2014 and uses artificial intelligence, deep learning and DNA sequencing to look at the trillions of molecules that make up food with the aim of improving health and longevity. According to Dr Khaldi, "bioinformatics was the perfect field as it combined my passions of mathematics, biology and computer science". As evidenced by her academic career, science is not just a matter of turning up and turning on the computer for easy answers. It requires discipline and dedication. "Science projects are usually new and you can't just google to find an answer. It's a tough area, and if you are not 100pc committed it's a very competitive and hard area to develop in," Dr Khaldi says on her profile at Trinity. It also equips you for a life in business. 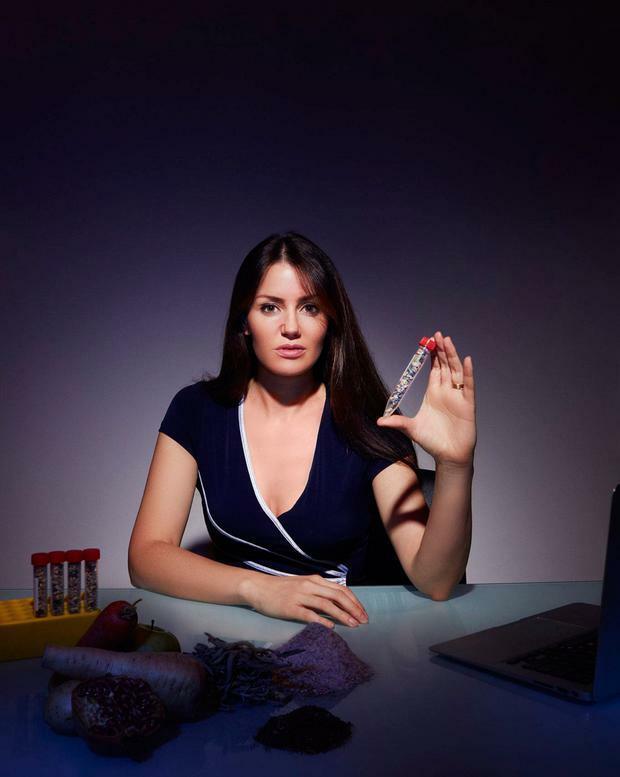 "Anyone that comes and tells you a scientist is not an entrepreneur are off their head," she told Dublin's annual technology, science, design and arts get-together, Inspirefest, in 2016. The line-up of investors in Nuritas reads like a who's who of Silicon Valley, with the likes of Ali Partovi and Mark Benioff. This being the goldfish bowl that is Dublin, there's a sprinkling of local stardust with Bono and The Edge also in the pool, adding to the company's profile here. For Dr Khaldi, it is not about showbiz, it is about marrying hard science to the needs of society - particularly an ageing one in which one in five people will be over the age of 60 by 2050. With such a dramatic shift in population, it was clear to Dr Khaldi that the "old pharma" model of drug development - a decade or more of development and an average spend of $2.6bn to get a product to market - needed to change. Nuritas uses big data techniques to discover peptides - molecules in food and food by-products - that can be used in supplements and new drugs. It says it can find these peptides 10 times faster and 500 times more accurately than more traditional methods, while significantly reducing costs. In November, it launched PeptAIde, the world's first bioactive ingredient discovered and delivered through AI which is being brought to the market by BASF. The plaudits look set to keep on coming for Dr Khaldi. She has already garnered the 'Woman of the Decade in Business and Leadership Award' from the Women Economic Forum-European Union, along with many others. Aged 40 and born in Algeria to a French father and an Irish mother, Dr Khaldi still has time for some hobbies. They include drawing, painting, rollerblading, dancing and swimming, although you are unlikely to see her taking a dip in the sea off Dublin, as she says it is "a little too cold in Ireland".